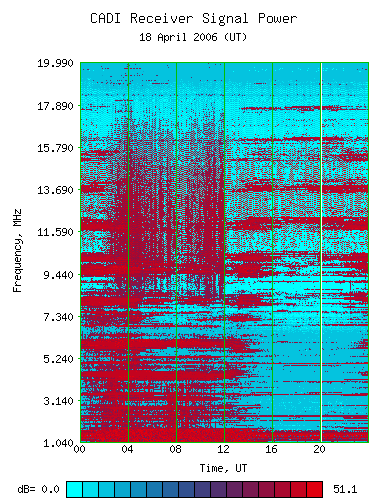 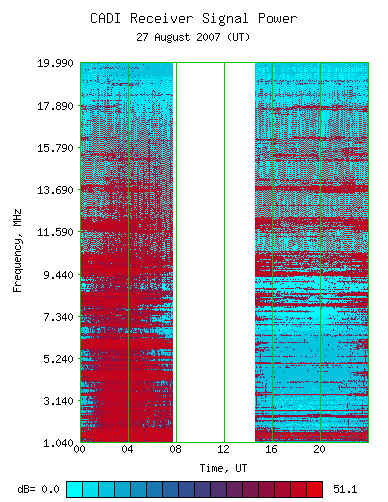 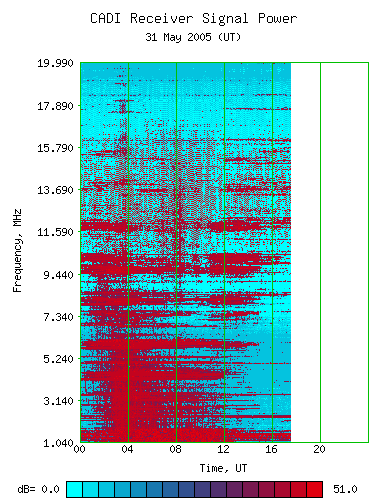 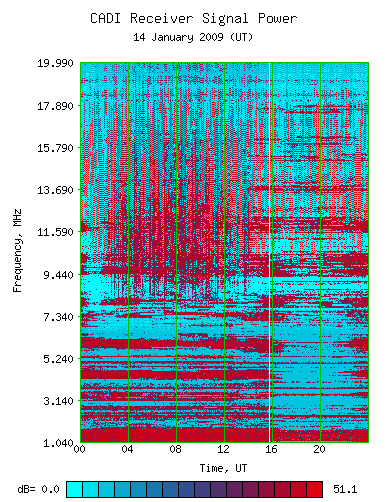 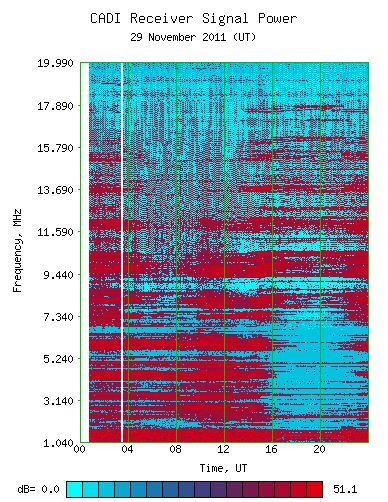 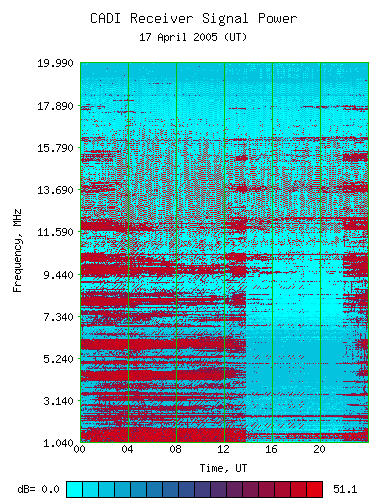 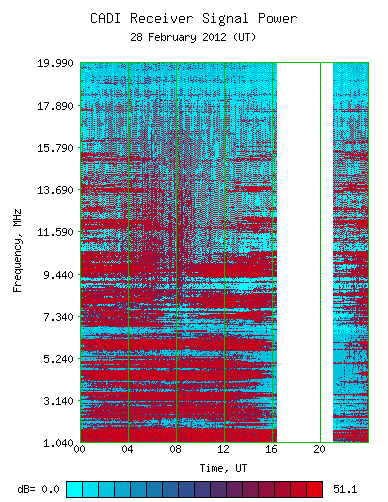 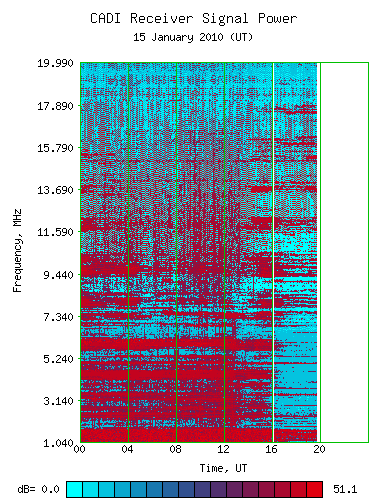 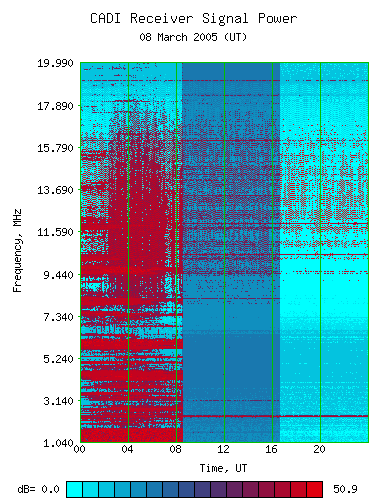 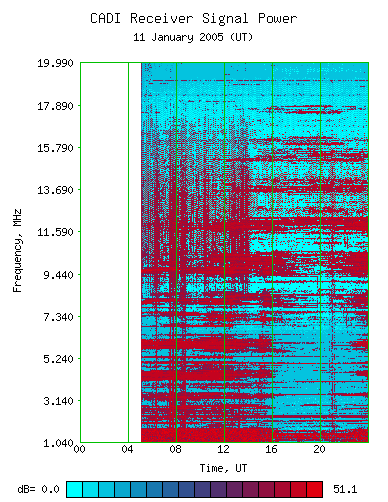 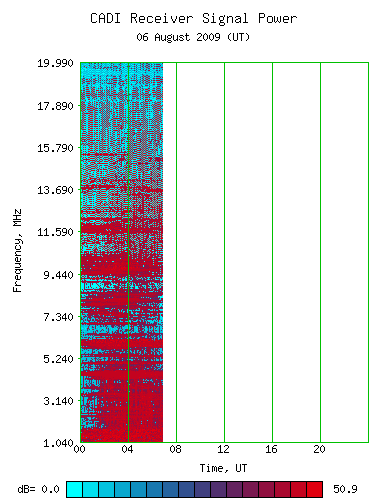 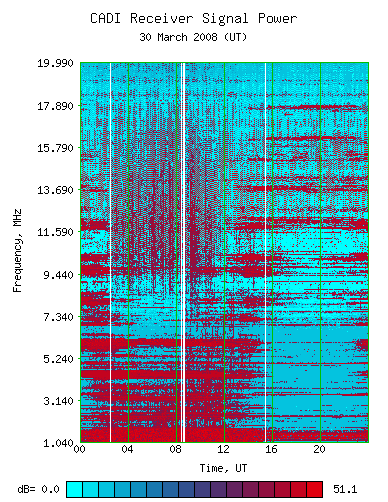 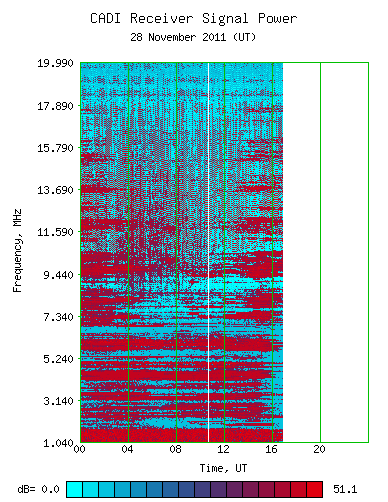 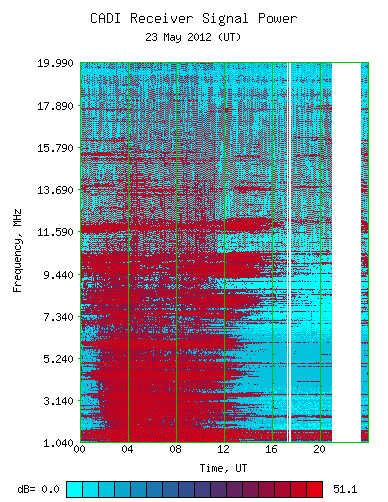 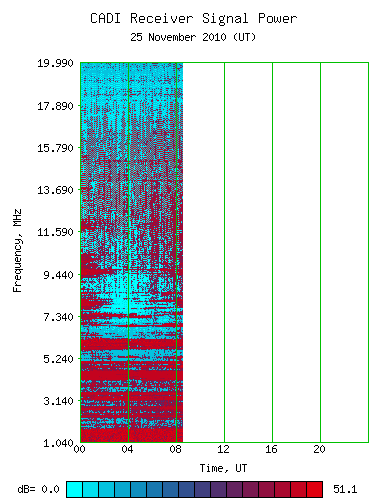 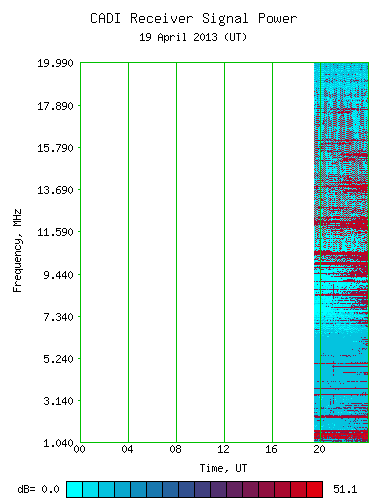 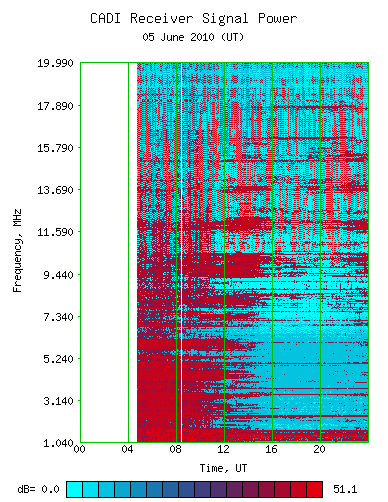 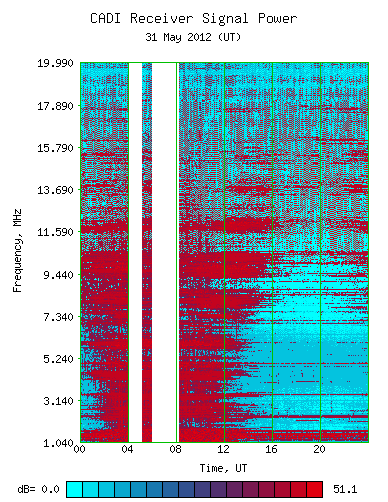 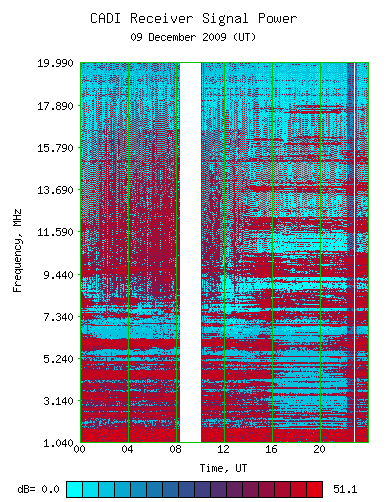 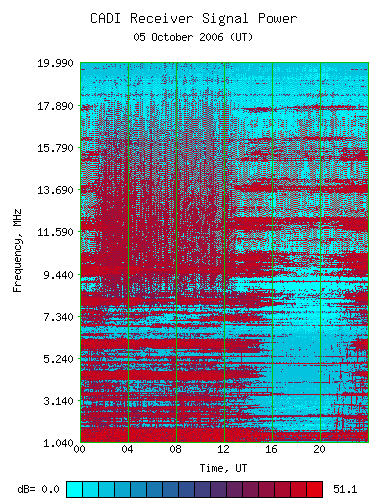 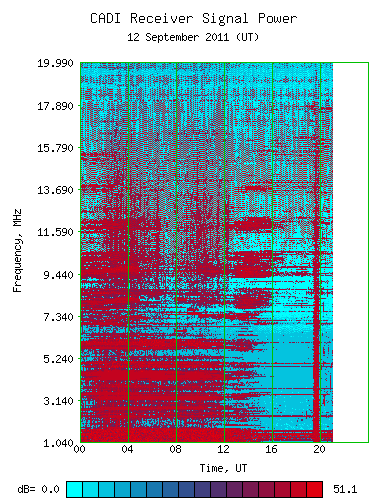 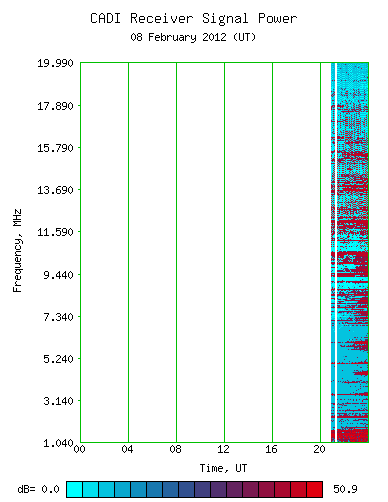 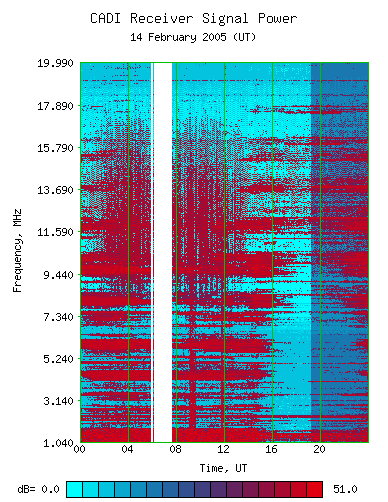 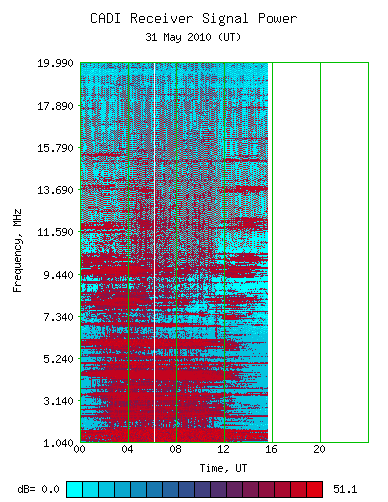 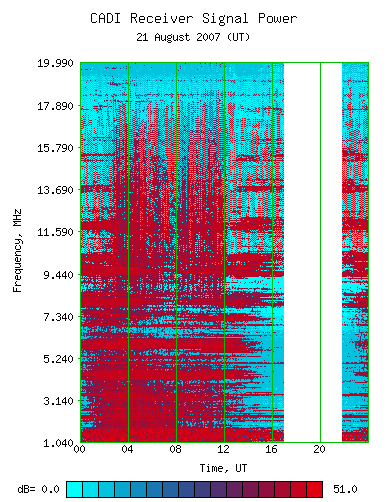 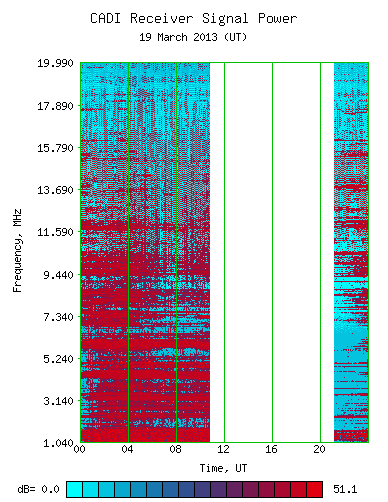 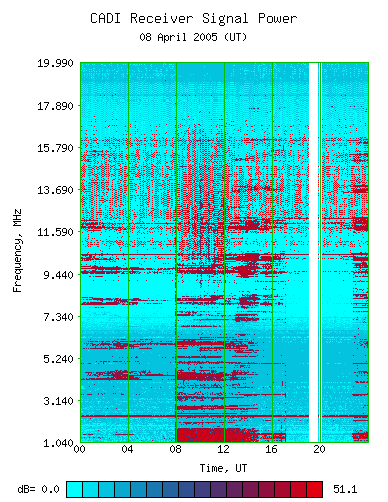 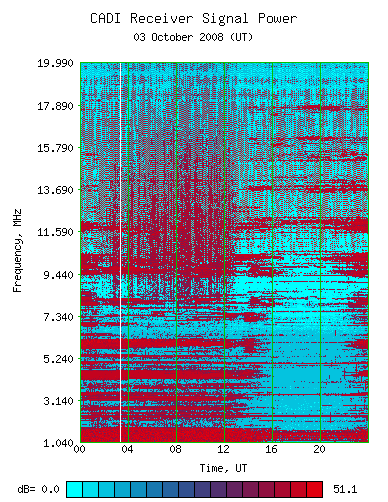 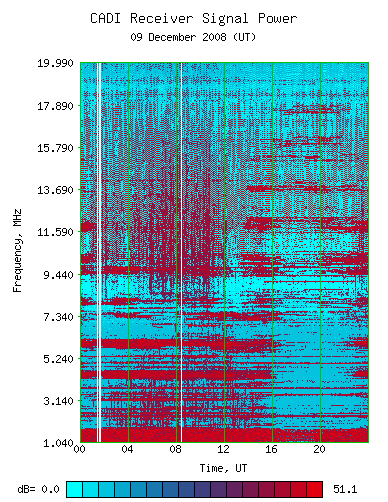 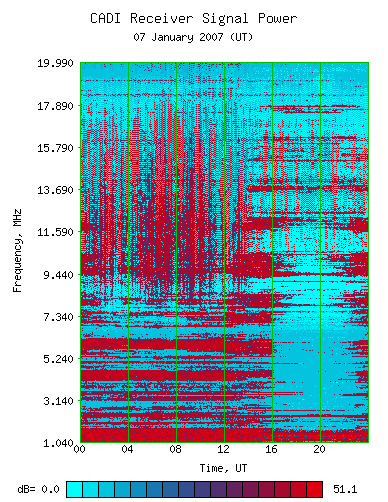 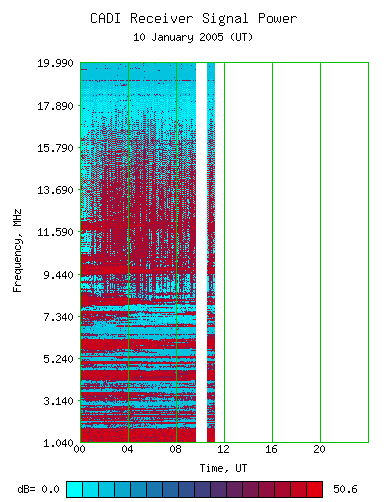 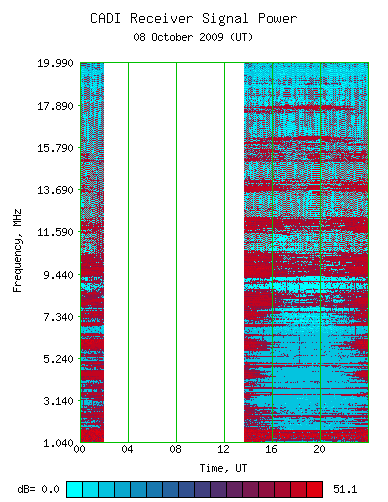 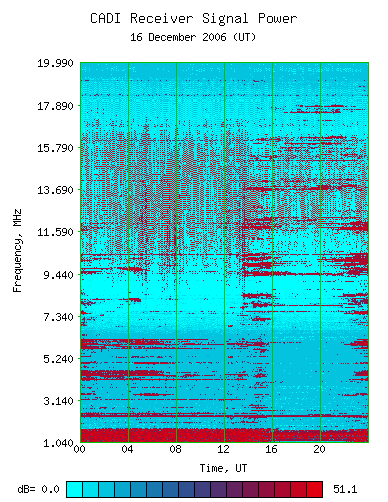 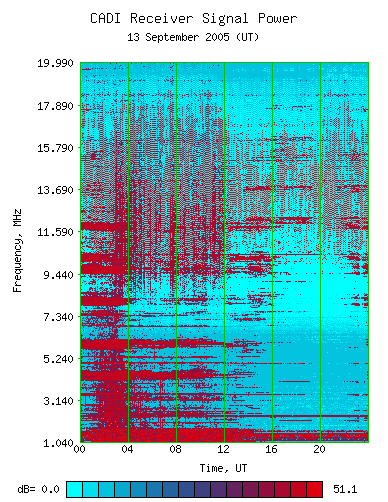 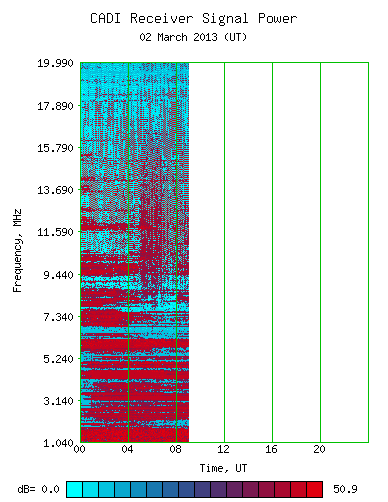 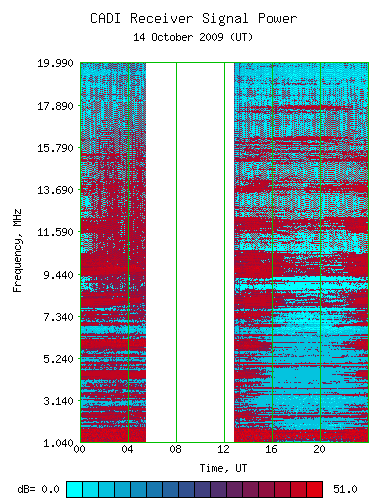 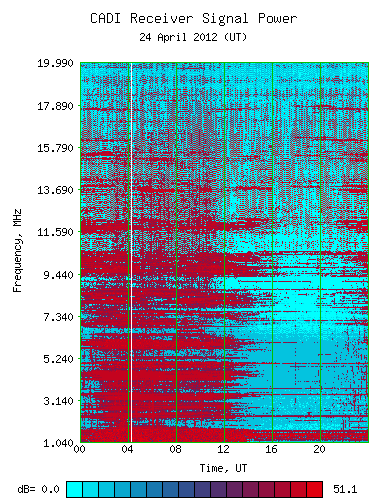 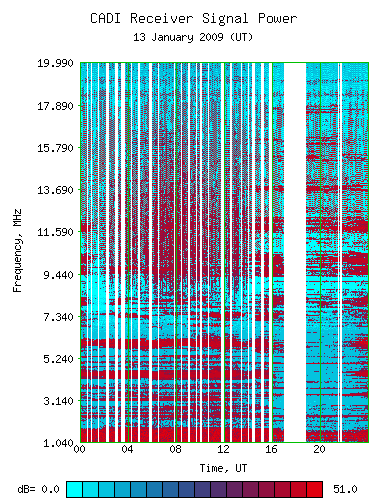 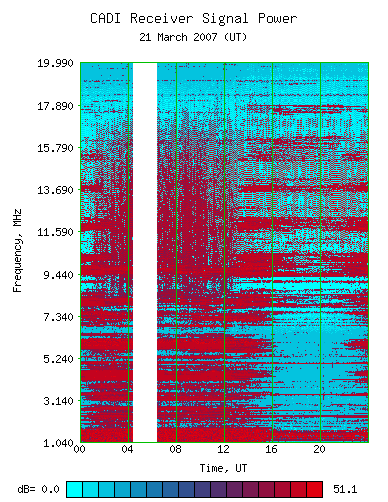 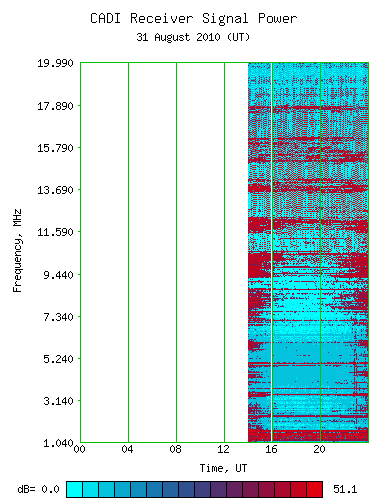 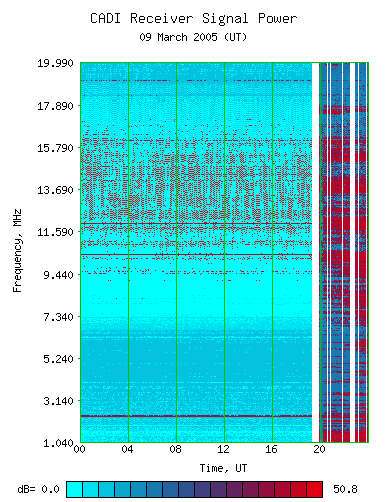 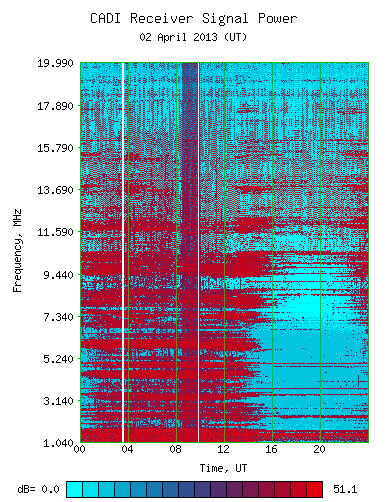 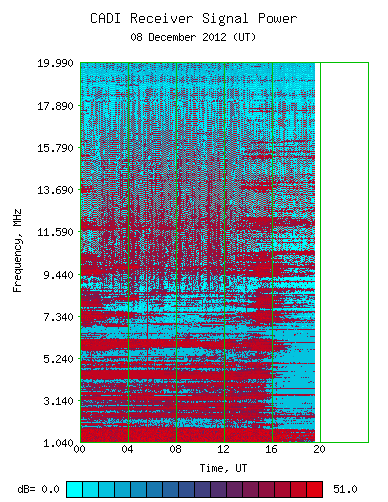 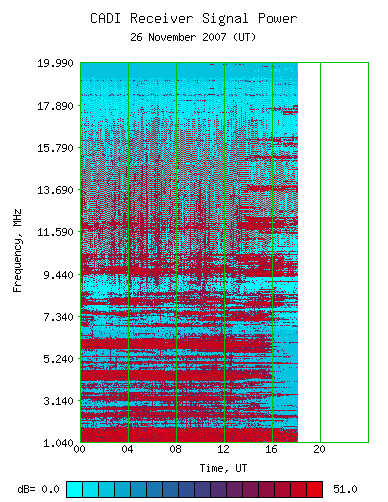 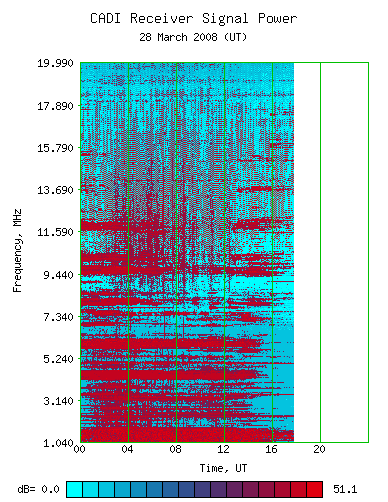 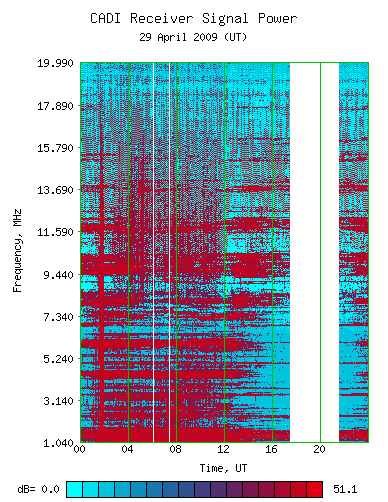 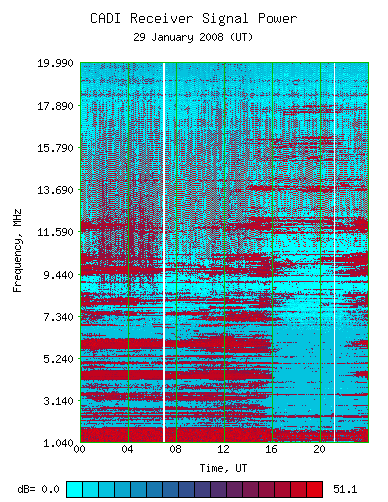 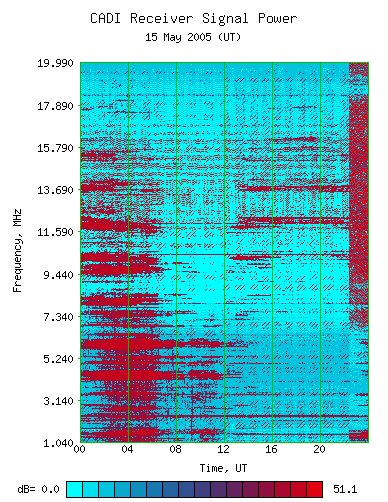 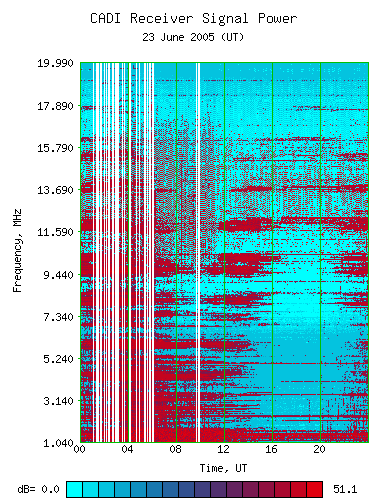 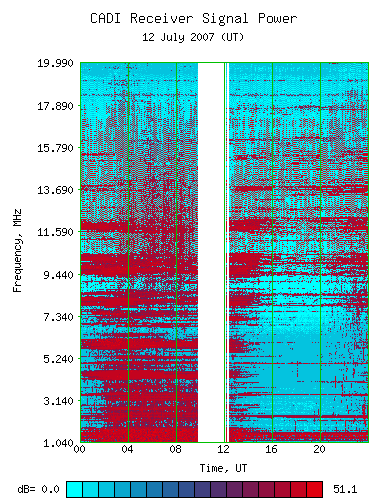 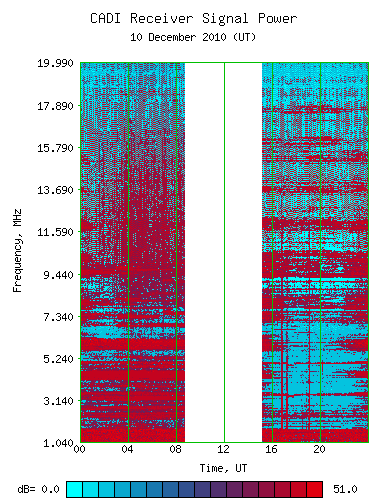 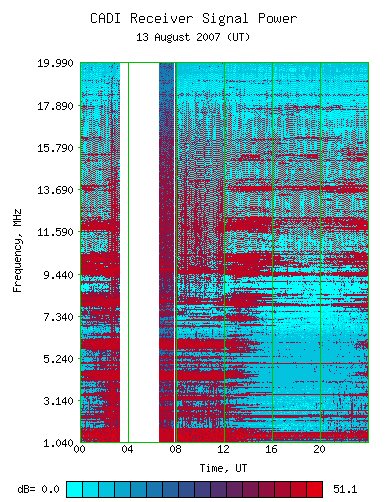 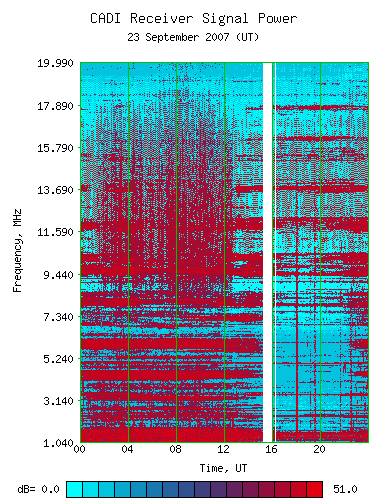 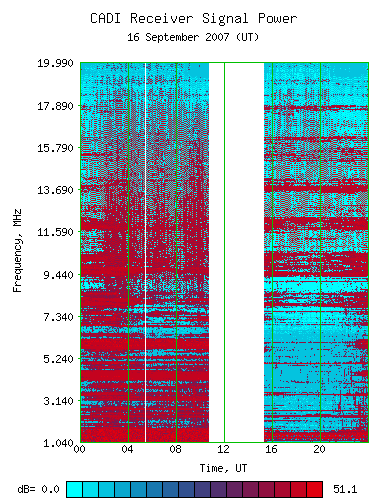 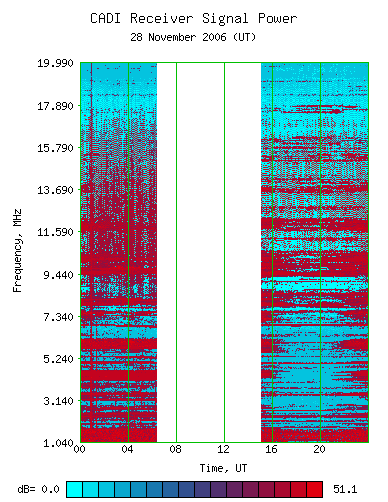 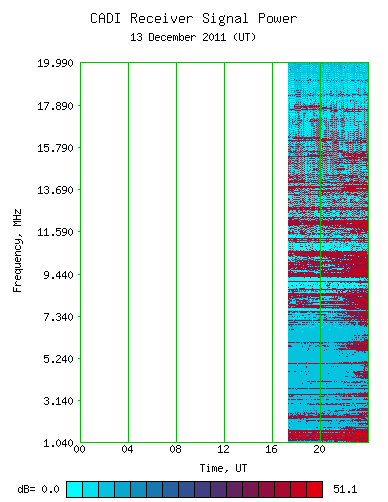 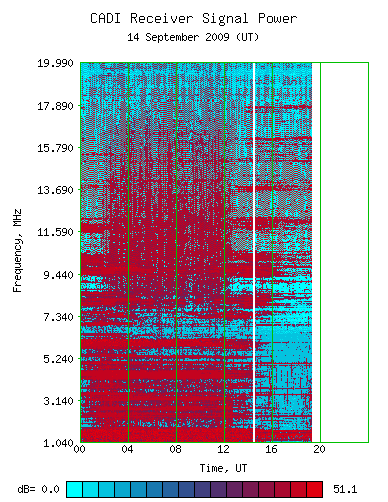 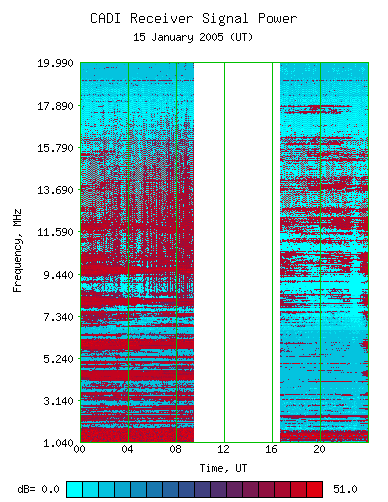 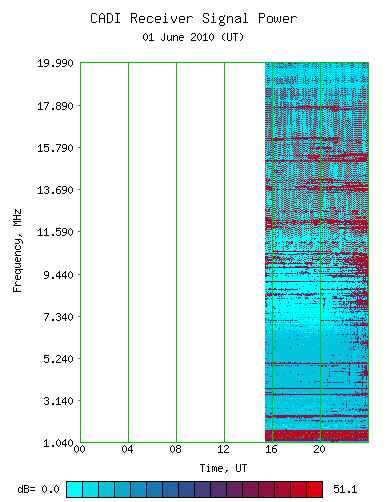 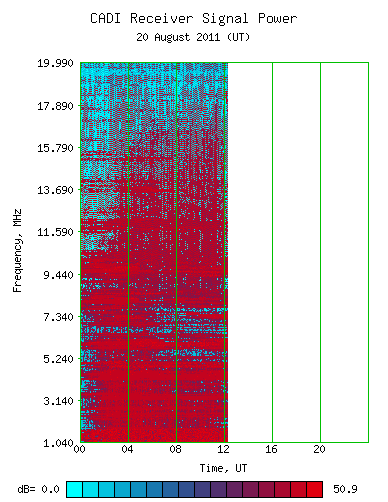 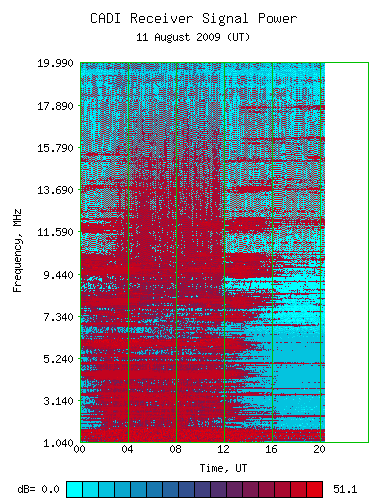 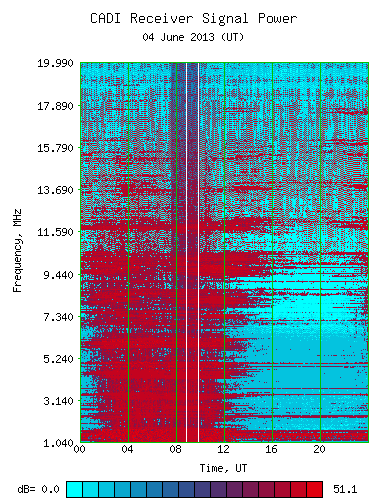 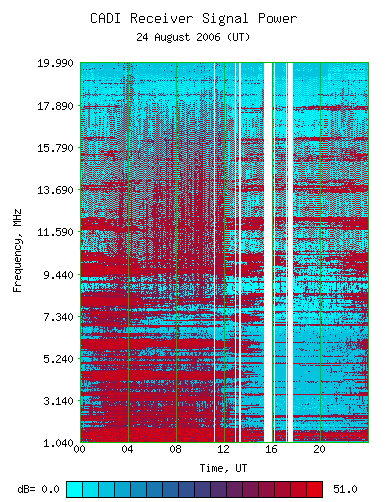 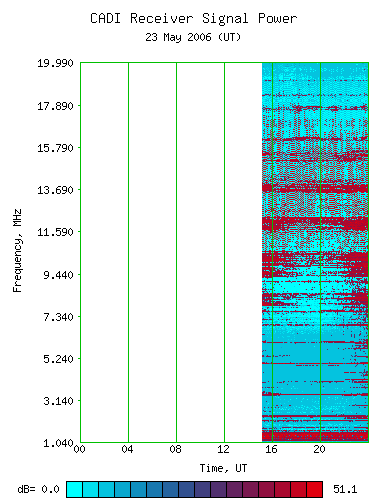 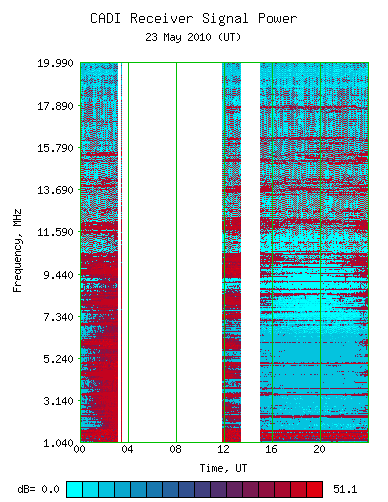 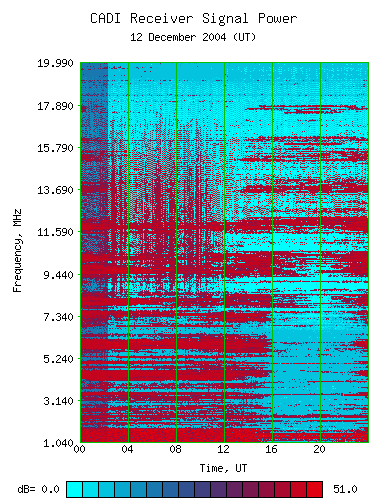 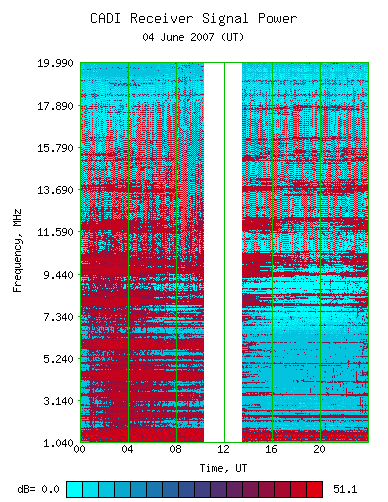 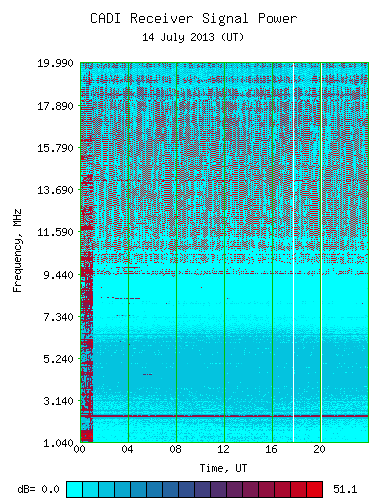 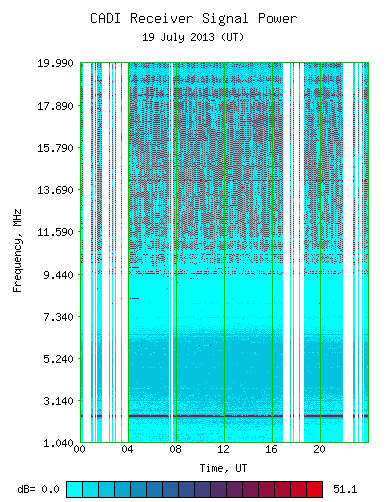 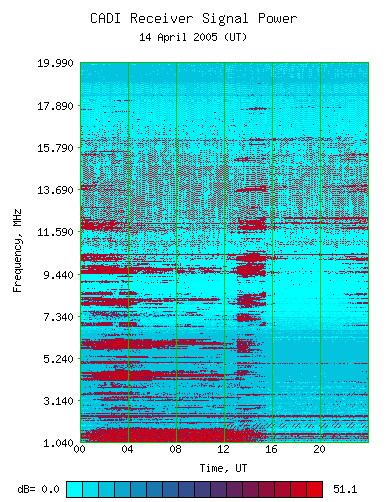 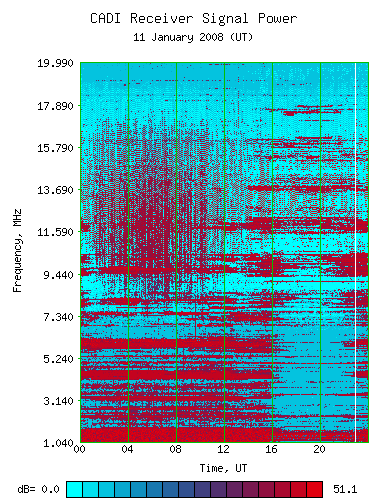 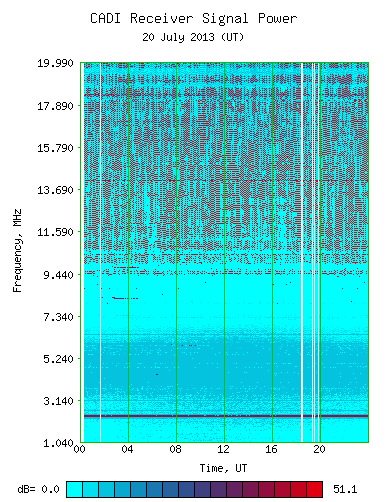 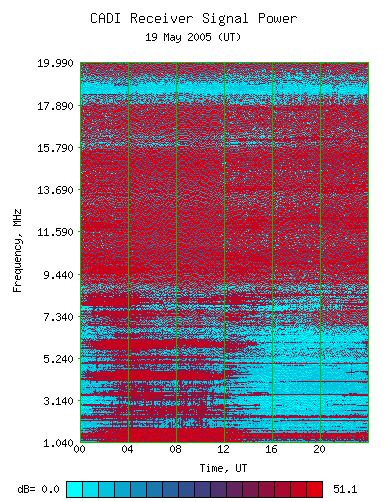 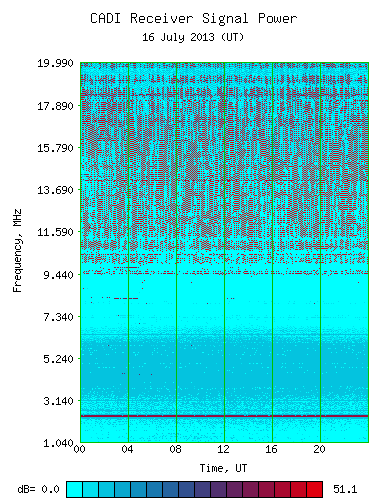 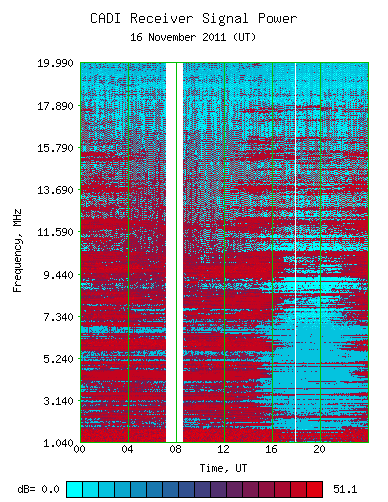 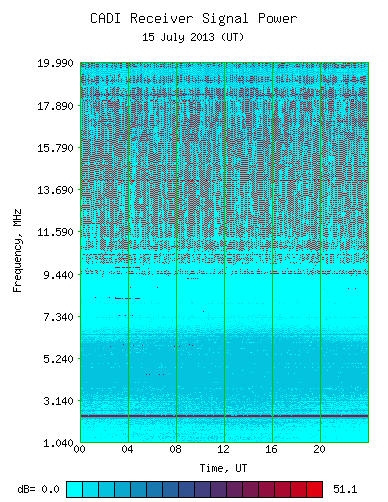 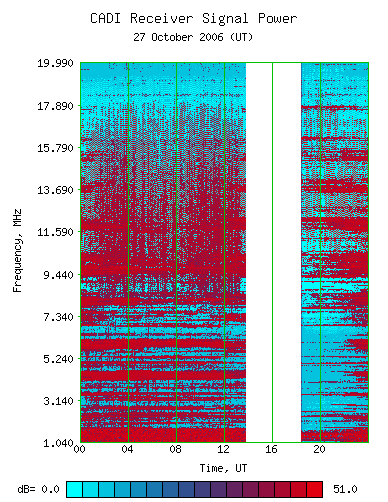 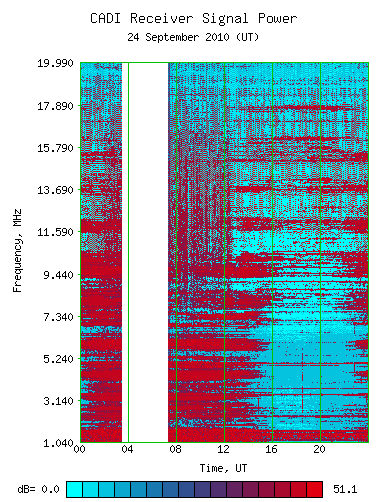 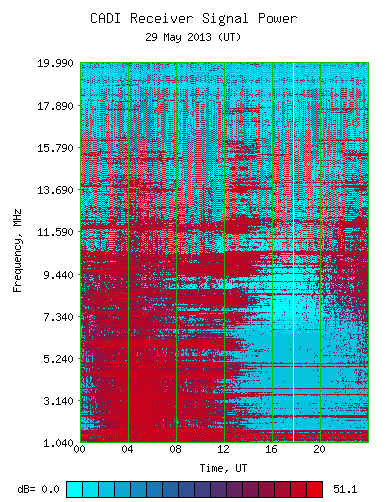 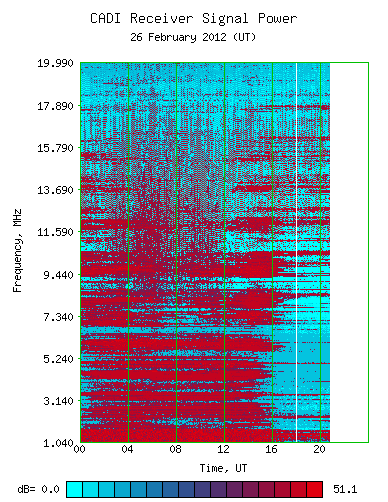 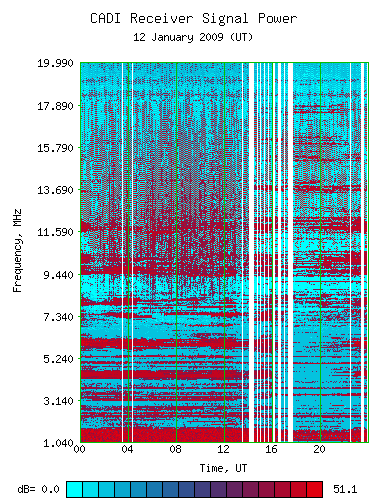 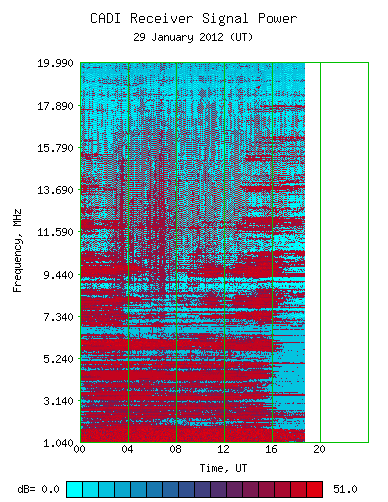 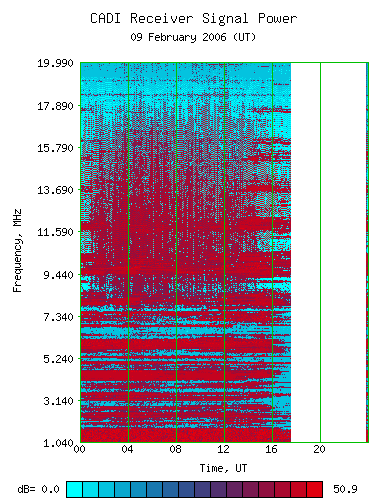 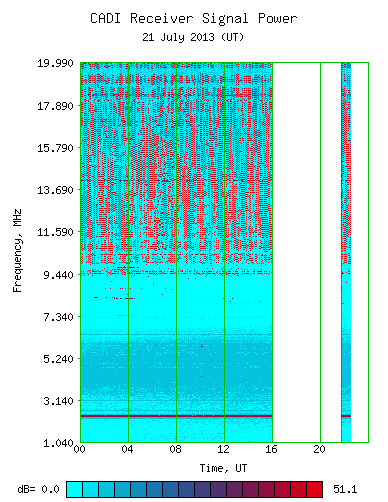 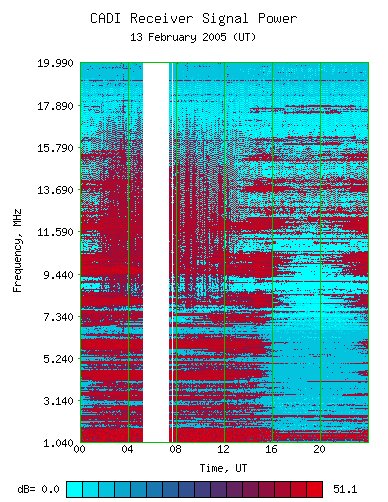 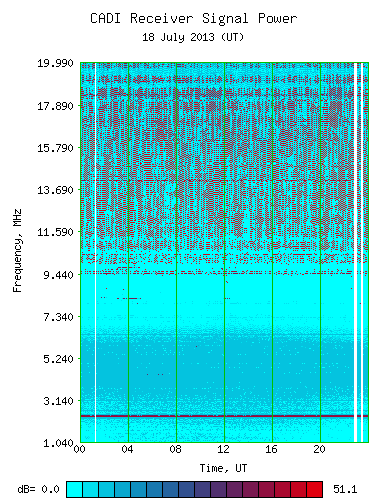 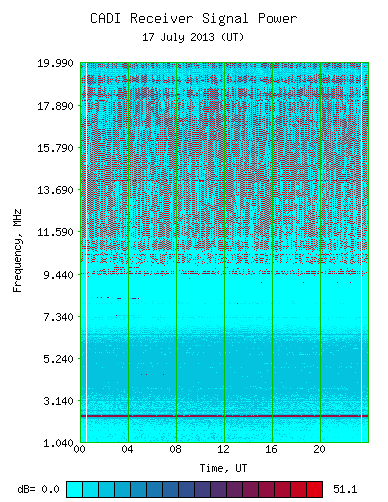 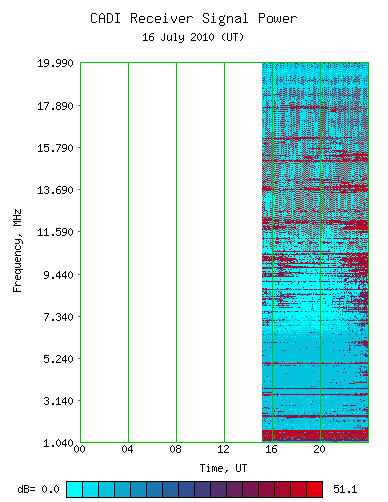 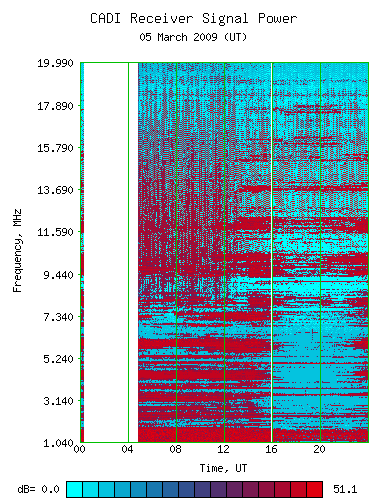 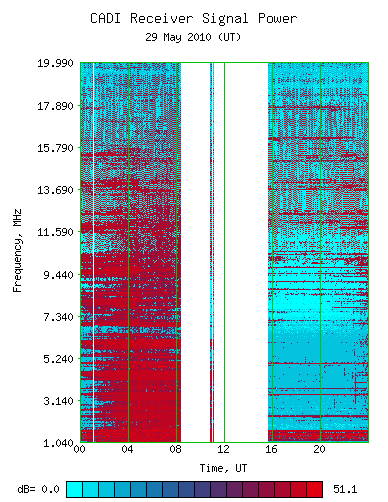 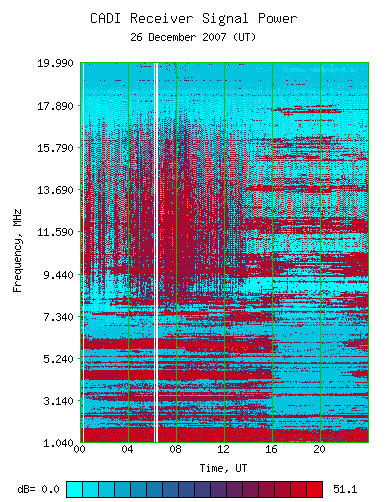 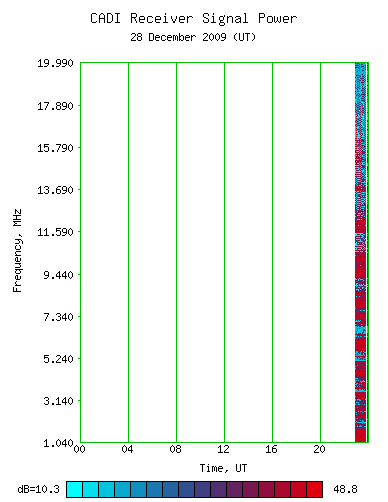 The following summary plots have been generated from data collected by the Space Environment Corporation Canadian Advanced Digital Ionosonde (CADI) at the Utah State University Bear Lake Observatory. 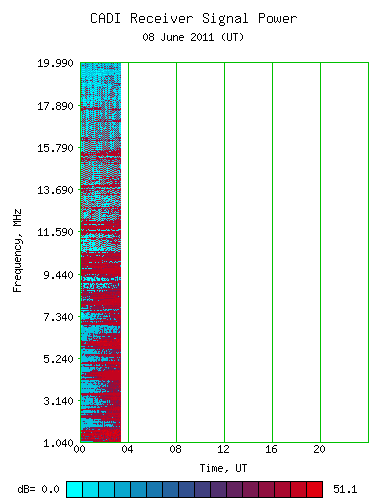 These data are taken from the receiver scanning over the full 1-20 MHz range of the CADI with 50 kHz resolution. 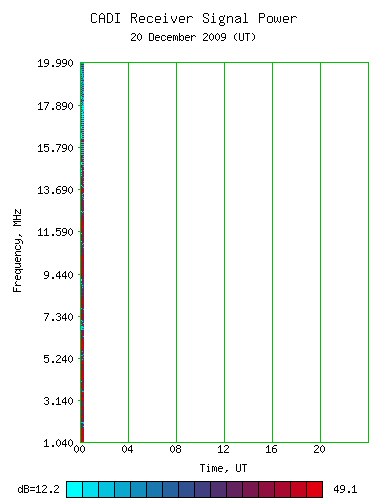 A scan is performed every five minutes. See the operation log for a list of recent changes to the operating modes. 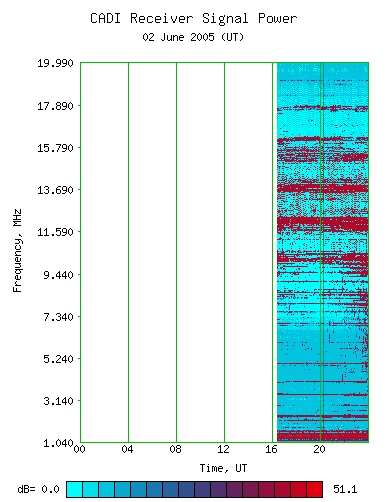 For more information about the complete data sets, please contact Dr. Vince Eccles. Data plots for 2001 and 2002 are also available.